* NEW ARREST OR INJURY? Call or Text one of our Criminal Defense or Personal Injury Attorneys after hours and on weekends for a quick response! directly to our attorney's cellphone. Schedule a consultation today by filling out the form to the right or by calling us at (904) 642-3332 (Jacksonville area) or (407) 228-2019 (Orlando area). * We offer free consultations on criminal, deportation, personal injury, and wage and hour cases. Our fee for non-deportation immigration cases is $100 for a comprehensive one hour consultation with one of our experienced immigration lawyers. Should you decide to retain us for your immigration case, the consultation fee will go toward the overall attorney's fees. Visa, Mastercard, Discover, American Express, checks, cash, money orders, and more are accepted forms of payment. Payment plans are accepted. If you would like to make a payment online, please visit our "Make a Payment" section. Watch this introductory video to learn more about SLGAttorneys.com and where you can find great information about our firm, criminal law, immigration law, personal injury law, and also where you can find our Crowded Courtroom Video Series, criminal blog, immigration blog, and more. When you hire the Jacksonville criminal defense attorneys, Florida immigration attorneys, or Florida personal injury attorneys at Shorstein, Lasnetski, & Gihon, you get big firm experience with small, old time, law office care. We are dedicated to using our vast experience to vigorously represent you, while making sure that we remain extremely accessible to you throughout the duration of your case. That's why we maintain so many different ways for us to communicate with out clients, whether it is through face to face meetings, on the telephone, by email, by text message, or by Skype or some other communication tool, our goal is to make sure all of your questions are answered in a way that is most convenient for you. Focusing on criminal, immigration and personal injury law, Shorstein, Lasnetski, & Gihon offers unrivaled experience. Contact our criminal lawyers, immigration lawyers or personal injury lawyers today. Unlike many law firms, our attorneys work closely together to maximize the massive collective experience, which offers you the optimal legal representation. We also take great pride in our accessibility to clients. The number one complaint that clients have about lawyers is lack of communication. Shorstein, Lasnetski, & Gihon has developed a communication system that allows unparalleled accessibility to your attorney. No case is too small and no case is too big. Give us a call at our Jacksonville office at 904-642-3332. Or call us at our Orlando office at 407-228-2019. Se Habla Español. If experience matters, Shorstein, Lasnetski, & Gihon has Jacksonville criminal lawyers who have your criminal defense case covered. All four partners are former criminal trial prosecutors. With unique insight into the inner workings of the State Attorney's Office, our criminal defense attorneys bring that knowledge to your defense. With a solid understanding of statutory and constitutional law, as well as long standing local experience in Duval, Clay and Nassau criminal courtrooms, we have a perfect blend of big firm experience with small law office care. We offer unparalleled access to our criminal defense attorneys through in person meetings, phone calls, emails, and text messaging, all with the goal of providing you with convenient, accessible communication with your attorney. Former State Attorney Harry Shorstein is one of the most experienced criminal trial lawyers in Florida and a member of the American College of Trial Lawyers. 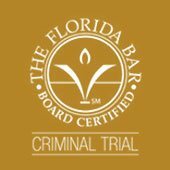 Jeremy Lasnetski is a Florida Bar board certified expert in criminal trial law. Paul Shorstein is a former prosecutor in Atlanta, Georgia. All three partners practice in criminal courts in Duval, Clay and Nassau counties defending citizens from charges ranging from federal charges, homicides, felonies, misdemeanors, and more. No case is too small or too large. Call our Jacksonville criminal lawyers today for a free consultation on your criminal case. We know that hiring a criminal defense attorney is difficult. That's why we offer convenient payment plans on our criminal cases to allow you to obtain the representation you desire on your criminal case. Call the experienced criminal defense attorneys of Shorstein, Lasnetski, & Gihon today for your free consultation. We can talk to you over the phone, in person, or both. Read more about criminal defense here. If experience matters, Shorstein, Lasnetski, & Gihon has your immigration issues covered. Former ICE prosecutor John Gihon and Jeremy Lasnetski can help you with all of your immigration needs. 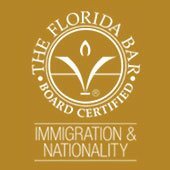 John Gihon helps people stay in the United States by representing them in deportation/removal proceedings at the Orlando Immigration Court. Jeremy Lasnetski is close to the Baker Correctional Facility where he can meet with the clients that are detained pending Orlando Immigration Court. Both John and Jeremy help families get together and stay together by representing them before USCIS, ICE, Embassies, National Visa Center (NVC), Service Centers, the Board of Immigration Appeals (BIA), Administrative Appeals Office (AAO), and more. Both John and Jeremy help fiances, spouses, parents, and children find strategic solutions to their immigration issues. Shorstein, Lasnetski, & Gihon helps businesses bring talented employees to the United States and to help keep them here. We help investors obtain lawful status. Whether you're a large corporation, small business or sole proprietor, we can help you with your immigration needs. We offer in-person consultations, telephonic consultations, and Skype or Facetime consultations with our experienced immigration attorneys. Read more about our immigration services here. If experience matters, Shorstein, Lasnetski, & Gihon has your personal injury case covered. With a history of personal injury practice at a respected Jacksonville personal injury firm, SLG Partner Paul Shorstein personally handles our firm's personal injury cases. Whether you were involved in a traffic accident with injuries or injured in any other way due to someone's negligence, we can help. Insurance companies are in the business of limiting claims. In other words, their goal is to pay you as little as they possibly can. Shorstein, Lasnetski, & Gihon will bring our experience, reputation and resources to your side. We are here to make sure those insurance companies do not take advantage of you. Read more about personal injury here. We invite you to contact our criminal defense attorneys, immigration attorneys or personal injury attorney any time to discuss your criminal, immigration, or personal injury matter. For emergency matters (i.e. new arrests, injury in an accident), we are available to respond at all times, 365 days a year, 24 hours a day, 7 days a week. For non-emergency matters, we will return your call or email immediately within our normal business hours, Monday - Friday from 8:00 am - 5:30 pm. Please also feel free to read our blogs, one of which provides practical and up-to-date information about criminal law issues, and the other which discusses issues related to immigration law. Our Jacksonville office, with criminal defense attorneys, an immigration attorney and a personal injury attorney, focuses on criminal defense, immigration and personal injury, and is conveniently located at 6550 St. Augustine Road, Ste. 303, Jacksonville, FL 32217. You can reach us at 904-642-3332. Our Orlando office, with an immigration attorney, focuses solely on immigration matters, and is conveniently located just off I-4 in Altamonte Springs just 10 minutes north of downtown Orlando at 409 Montgomery Road, Suite 115, Altamonte Springs, FL 32714. You can reach us at 407-228-2019. Do You Have a Criminal Charge and Wonder What is Going to Happen? 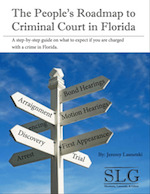 Download this ebook where we explain the Florida criminal law process in a nutshell.